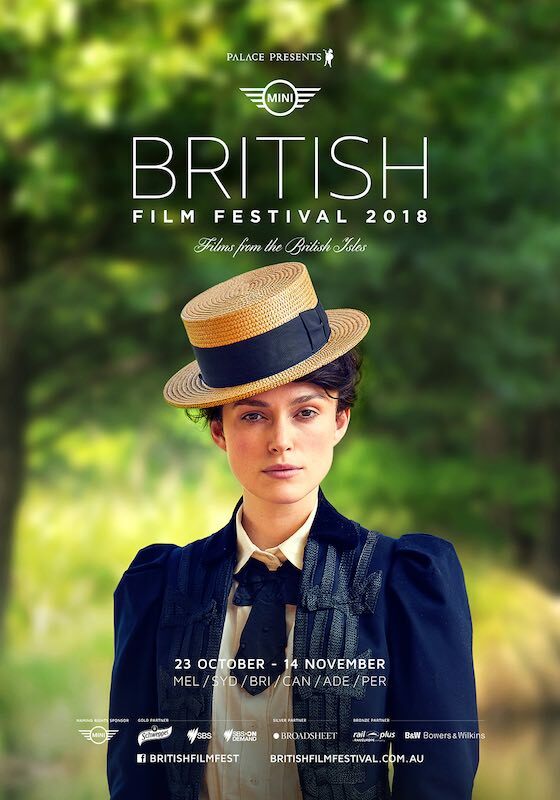 This year’s British Film Festival program features some of the most eagerly anticipated British films of the year including powerful true stories, literary adaptations and biographies and modern classics starring some of Britain’s best known and beloved stars. The festival will open with Colette, which stars Keira Knightley as French writer Sidonie-Gabrielle Colette, whose provocative debut becomes the toast of belle époque Paris in Wash Westmoreland’s (Still Alice) mesmerising biopic, also starring Dominic West and Fiona Shaw. The festival takes place from 25 October – 14 November at Cinema Paradiso, Palace Raine Square, Luna on SX and The Windsor. Thanks to Palace and Luna Palace Cinemas we are giving readers the chance to win a double pass to the 2018 MINI British Film Festival which returns to Perth on 25 October for its sixth and biggest year yet. Simply fill in the form below or write to British Film Festival c/- Have a Go News PO Box 1042 West Leederville 6901.